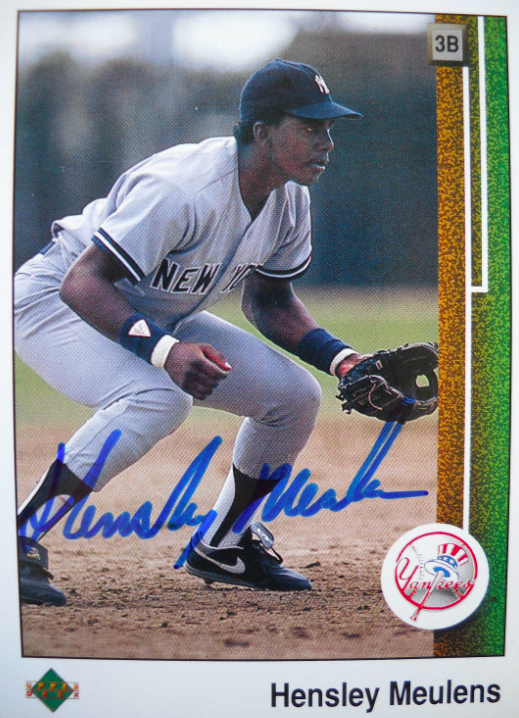 Born on June 23, one of the hottest names of the rookie card explosion and future World Champion, Hensley "Bam Bam" Meulens. According to Beckett.com's checklist, the late 80s presumptive Yankees star appeared on 108 different baseball cards, few more treasured than this Upper Deck RC. New York media loved the prospect of Hensley anchoring their left field spot, which pumped his collector interest to equal that of Ken Griffey, Jr., at least until Bam Bam proved underwhelming in just a half-season of work in 1991. Once pinstripes management decided Hensley couldn't play above AAA, the market lost interest as well. As years passed, the "MEULENS" name even became a metric for evaluating show dealers. Through 1990, Hensley had his own display section and then 1991 marked his plateau. By 1993, any dealer with that divider still in their table boxes communicated laziness, as they long since should've replaced it with someone newer. The card market had moved on from Hensley Meulens. Meanwhile, Bam Bam himself resurfaced in Japan, where he slugged the Yakult Swallows to a Japanese national title. Since 2010, his work as Giants hitting coach contributed to a pair of World Series wins. 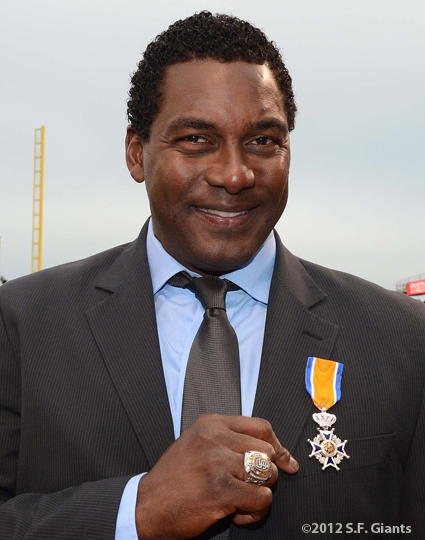 The Netherlands even knighted him in 2012, an honor unique among Major Leaguers. He's become the success story one can't predict with baseball cards. No long ago, SBNation published a solid profile of Hensley's life, coaching style, and decent odds of becoming a big leaguer manager, a job he's performed capably at other pro levels. Happy 47th birthday to the once and future prospect! Ahh, yes. I remember Hensley Meulens. Back in 1988 and 1989, I was in a fantasy league with a bunch of guys from work. I drafted Meulens (based on all the hype you described above), and I think also Greg Jeffries or Kevin Elster - two other projected stars. That sounds like a fantasy juggernaut, at least in the minds of the guys who picked Rated Rookies!